The North Georgia mountains are scattered with National Parks and Forests, scenic mountain lakes, world-famous rushing waters and quaint historic towns with a southern charm and plenty of activities. The river is the centerpiece of the Ocoee River Area, but there are plenty of adventures and activities to fill your vacation days. Journey with us as we explore the North Georgia mountains and its surroundings, escape into the tranquility of nature, ride the world’s most exciting and challenging white waters and make memories in the heart of Georgia - a vacation destination worth a visit! The deep historic roots of the North Georgia Mountains are evident in our communities, where a historic ambiance fills the air. Take a history lesson at the Ducktown Basin Museum located on the historic Burra Burra Mine, marvel at the rock carvings and petroglyphs at the Track Rock Gap Mayan Ruins in the heart of the Chattahoochee National Forest and step into one of the oldest homes in Ellijay, now the Tabor House & Civil War Museum. The streets of historic downtown Ellijay are lined with many historic buildings dating back to the 1800’s. Explore the twin cities of Copperhill and McCaysville on an epic journey on the historic Blue Ridge Scenic Railway which winds its way along the waters’ edge. Be sure to stand on the ‘blue line’ with one foot in Georgia and one in Tennessee, a great family photo opportunity. For another great railroad adventure, take the vintage railcars of the Hiwassee River Rail Adventure from the nearby town of Etowah through the beautiful, unspoiled Cherokee National Forest and around the Hiwassee Loop through remnants of towns long forgotten. 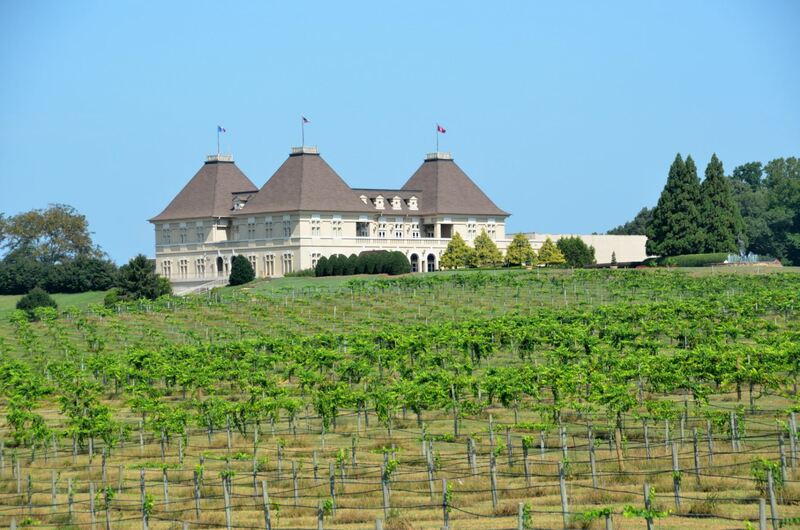 Connoisseurs of fine wine need look no further than the Southern Appalachians, the perfect landscape for award-winning vineyards and wineries. There are three wineries in Ocoee Country – Savannah Oaks, Morris Vineyards and Ocoee Winery. Plan a picnic or book a tour to enjoy wine tasting, great food and live music, all set within spectacular mountain scenery on the wine escape. Beer drinkers have a selection of breweries to visit and sample the finest local craft beers. Take a guided tour for a tasting adventure in what is fast becoming known as the next craft brewing vacation destination. From fine wine and craft beers to…apples! Apple pies, apple fritters and apple blossoms! The apple orchards saved Gilmer County after the fall of the cotton industry and many family farms are open for you to pick your own apples. Join in the celebrations of the Georgia Apple Blossom Festival in early May and the Georgia Apple Festival in October. An ever-changing scenery surrounds our mountain towns. Rambling rivers and mountain lakes, lush forests and fields of wildflowers! Every season brings new scenery, and a scenic drive promises a unique vista around each corner. Head off the beaten path to explore our country roads or stick to the scenic byways that travel through the Cherokee National Forest alongside the Hiwassee River. A must-see for the fall colors! The North Georgia Mountains are abuzz with year-round festivals and events. Arts, crafts and food vendors line the walkways at the Georgia Apple Blossom Festival in May and June sees the Pickens Sheriffs Jeep Fest come to town. The spectacular fall months are alive with vibrant colors and the streets come to life with the Georgia Apple Festival, the Annual Mountain Moonshine Festival and the Marble Festival in October. Shopping is a must on vacation, whether it be gifts and souvenirs or unique vintage clothing. The mountain communities of North Georgia offer an eclectic mix of antiques, collectibles, specialty shops and great marketplaces. Stop off for a well-deserved treatment at a local spa and end your day with a meal at one of the many eateries, from upscale dining to casual cafés. A family that plays together, stays together! 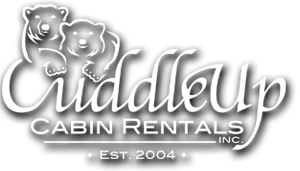 Whether you have chosen the Ocoee River area for a long awaited family vacation, a family reunion or a quick break from the hustle and bustle of life, the towns surrounding the Ocoee River are loaded with action packed adventures for the entire family. Walk the tight ropes and zip through rustic riverside scenery, reach new heights on a glider ride or marvel at the scenic beauty of the wilderness on a helicopter tour. Create your own furry friend at Critter Creations, mold you own mug at Whistle Tree, go for a strike at the bowling alley then end your day with a movie under the stars at the historic Swan Drive-in Movie Theatre. Animal lovers are in for a treat as they meet the bears and panthers at the Ellijay Wildlife Rehabilitation Sanctuary, have breakfast with the big cats at the Chestatee Wildlife Preserve and unfold the story of the mythological Big Foot at The Sasquatch Museum. All this adventure before you even head to the great outdoors! Dwarfed by your surroundings of the Cherokee National Forest, the Great Smoky Mountains National Park and the Nantahala National Forest, the North Georgia Mountains is the perfect place to be as you discover the unspoiled beauty of the forest, lakes, waterfalls and remote trails with a little outdoor adventuring. Hiking & Biking Trails. Springer Mountain in the Chattahoochee National Forest is world-famous as the start of the 2,190-mile long Appalachian Trail that weaves its way through 14 states. Hike through remote forests to the Swinging Bridge on the Duncan Ridge Trail, a path off the well-known Benton MacKaye Trail, through the Appalachian Mountains into the Cohutta Wilderness. Head to the Lake Conasauga Recreation area to explore the Cohutta Wilderness, a spectacular setting of rocky gorges, secluded waterfalls, trout streams and colorful wildflowers. The Bear Creek Trail splits off The Pinhoti Trail, North Georgia’s crown jewel of trails, leading you to the Gannett Poplar, Georgia’s second largest living tree. Cool off in the picturesque Bear Creek. Endless miles of mountain biking trails await you in the North Georgia Mountains and some of the finest trails are here, right on your doorstep. The 17-mile Aska Trail is lined with fields of wildflowers and coves of hardwoods as you ascend to panoramic views at 3,200 feet. Over 40 miles of tight switchbacks await you on four loop rides between Fort Mountain and Bear Creek, with challenging rides through lush tree canopies. For an extreme ride, the steep climbs and technical downhills of the Cartecay Loop which connect with Red, White & River Loop Trails is the place to be! The best trail for the kids is the Tanasi Trail System at the Ocoee Whitewater Center, an easy trail that leads to the crystal clear Blue Hole, a fun swimming hole. Many of these trails pass our spectacular waterfalls, backdropped by spectacular fall colors from October to mid-November. Stop at the Chamber office for a free copy of “Waterfalls of the Tennessee Overhill” when planning your trails. Fishing. Avid fishermen are spoilt for choice with miles of cool mountain rivers, trout streams and scenic lakes. The Hiawassee is a world class trout fishing river! Escape into the tranquility of the wilderness to cast a line for the catch of a lifetime or take a personal guided tour onto the waters of a private farm where you will learn from the best. Depending on where you choose to fish, you may be in Tennessee, North Carolina or Georgia, so check in with a local outfitter to make sure you have the correct fishing permits. Rock Climbing. Experience the adrenaline rush of rock climbing. Professional guides offer year-round tours and instruction. 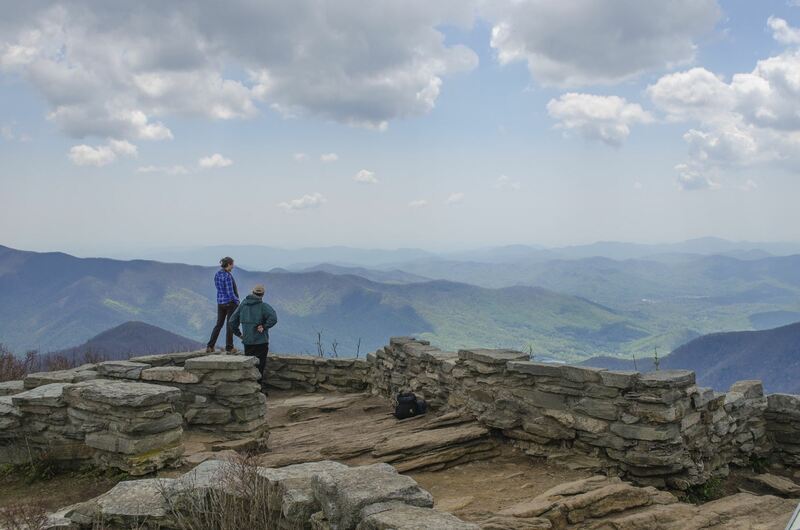 Currahee Mountain is the favored site with over 50 different climbing routes for climbers of all abilities. Currahee is the last mountain of the Blue Ridge Chai near the Toccoa Falls with spectacular views of three states in the distance from 1,700 feet. Whitewater River Rafting. 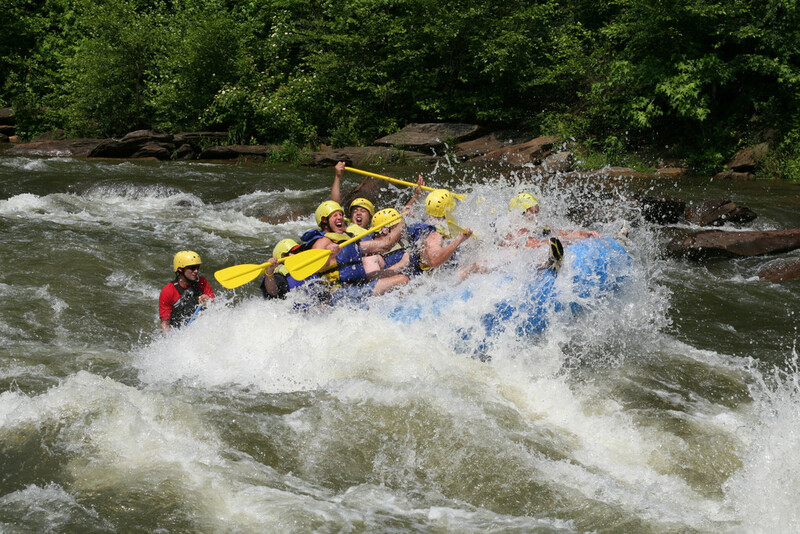 The Toccoa River flows from Blue Ridge, GA to Copperhill, TN, the headwaters of the famous Ocoee River, where wild waters create some of the most exciting whitewater rapids in the world, weaving through the scenic gorges of the Cherokee National Forest. The Ocoee Whitewater Center is a great place to begin your whitewater adventures. Ride the challenging class IV rapids of the Ocoee Coaster and big-name rapids such as Hell’s Hole and Broken Nose, or gently float the family-friendly Nantahala River through scenic rainforests ending at the Nantahala Falls - perfect for the younger tikes in the family. The Cartecay and Ellijay rivers meet in the town of Ellijay to form the Coosawattee River. The Cartecay’s calm waters are perfect for kayaking and the Coosawattee River weaves its way through gorges and forests to Carters Lake, a hidden gem in the middle of the mountains. If rafting the rapids aren't your thing, the 17-mile Toccoa River Canoe Trail is a great alternative. 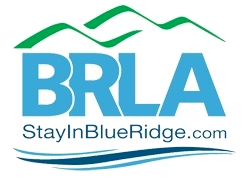 The trail flows gently through scenic wilderness, under the Swinging Bridge and on to the cool, deep waters of Lake Blue Ridge, another of Georgia’s picturesque mountain lakes with a full-service marina and 65 miles of shoreline to explore.